Abruzzo is best known for its dramatic scenery, from vast empty plains, to the sandy Adriatic coastline, to the impressive Apennine mountains to the west. The region is also famed for sumptuous food and wine. The best places to stay in Abruzzo are as varied as its landscapes - from cheap unassuming B&Bs to top notch luxury pads. It would be hard to visit the region without taking a wine tour. Head down to the vineyards and sample some of the regions delicious produce, including the world famous Montepulciano d'Abruzzo. Abruzzo is sparsely populated considering it's less than fifty miles from Rome, which is probably another of its charms. It has definitely kept its towns medieval looking, Chieti is one you should not miss, and its many, many hilltop castles relatively isolated. Abruzzo's Gothic and medieval architecture marry with the culture of the place, where you'll hear plenty of magical stories about the abandoned towns and villages. Make a point of visiting the Museo Archeologico Nazionale dell'Abruzzo and the Museo dell Genti d'Abruzzo. Use our guide to the best places to stay in Abruzzo and start to plan your tour of this lesser-known region. Casadonna Reale was once a monastery, now converted into a chic, minimalist hotel with extraordinary views and fabulous gourmet cuisine. Set amongst rolling hills and its own vineyards situated not far from the coast, Castello di Semivicoli is a beautifully converted castle. This is a small hotel, but the rooms are enormous with sandstone floors, elegant decor and freestanding baths. They also have a very impressive wine cellar. Fireflies and Figs is perfect for people looking for somewhere a bit quirky in Abruzzo. Intimate and atmospheric, the hotel is made up of two luxury yurts that allow guest to immerse themselves in the stunning scenery. A rural idyll. Nestled amidst the hilltop village of Santo Stefano di Sessanio, Sextantio Albergo Diffuso is a delightful traditional affair. Stone walls, exposed beams and candlelit rooms are all features of this charming hotel. Its restaurant showcases the region's rich culinary heritage. 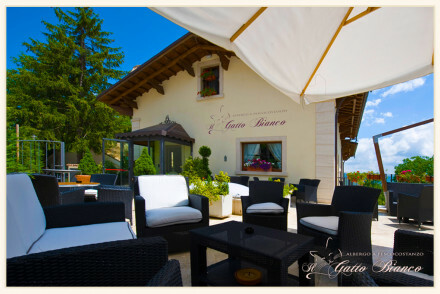 In the mountains of Abruzzo, Il Gatto Bianco is a great option for people looking for an outdoors holiday. Depending on the season, there's great skiing or walking on the doorstep and the hotel is the perfect place to retreat back to after a day outside. The best airport for the Abruzzo region is Pescara. The best time to visit Abruzzo is from May to September, when the weather is at its finest. 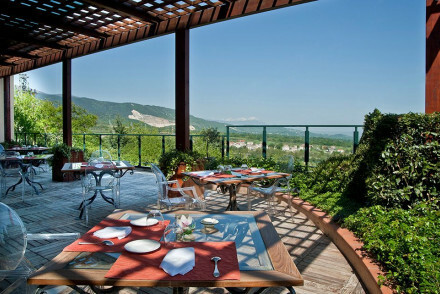 Browse through our list of all the best places to stay in Abruzzo. Expand your search to the best places to stay in Chieti. A small family-run hotel best known for the exceptional Michelin-star restaurant it houses. Elegant rooms are simply dressed with soft hues and fabulous views. Situated in one of Italy's prettiest towns just a short distance from the coast. An indulgent stay. A beautiful yellow stone castle offering spectacular views over the Abruzzo landscape. Spacious rooms feature high ceilings, soft hues and antiques. A fabulous restaurant puts a modern spin on regional dishes. A romantic spot to explore the region from. Local exploring - A historic stay set in the stunning landscapes of the Abruzzo region, offering: coast, mountains and plenty of culture. Sights nearby - Visit the nearby Parish of St. Peter the Apostle. 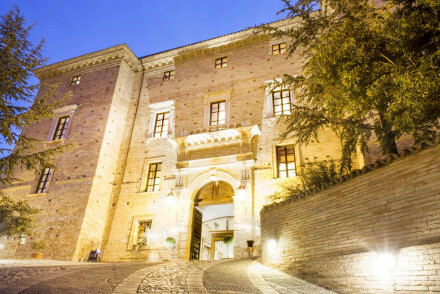 An elegant 16th-century palace boasting fabulous views from its high vantage. Rooms are traditional and ooze character; filled with antiques and featuring beautiful frescoes and artworks. A charming base to explore the historical region from. 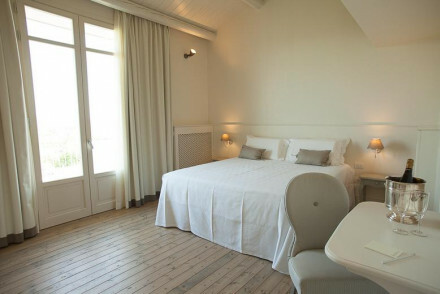 Gorgeous hotel in Giulianova with marvellous views of the Adriatic sea, offering rooms decorated in a bright and gentle rustic-meets-modern style. 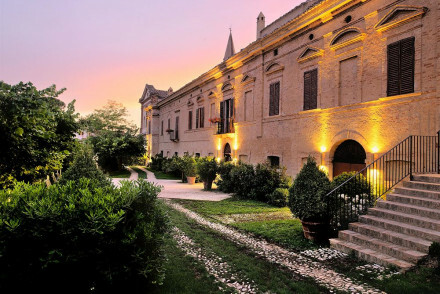 Ideal for exploring the archaic towns of Abruzzo or romantic getaways, it has a restaurant serving locally-sourced fish and a varied wine selection. Local exploring - Near the hotel is the Medieval town of Atri and the Tower of Ceranno, a coastal tower built by the Kingdom of Naples. Sights nearby - One of the houses of Gabriele D'Annunzio, the eccentric poet, soldier and hero of the Italian fascists, is 18 miles away. Charming accommodation in Abruzzo just minutes from the Adriatic. Bright, rustic en-suite rooms feature white-wood furnishings and parquet flooring. A chic Abruzzo farm perfectly placed for hiking Majella Mountain or golfing in Miglianico. Active Holiday - Whether you're hiking Majella Mountain, riding a pedalo through the waters of the Adriatic or golfing at Miglianico. Views - Some rooms come with a balcony. 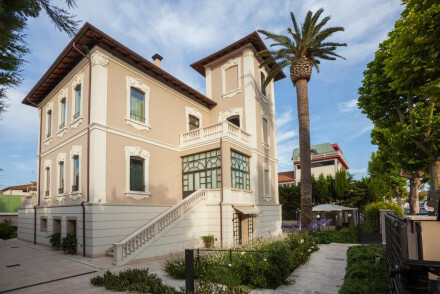 Stylish 4-star hotel brushing the sandy-white toes of the Adriatic sea offering modern, comfortable rooms in a bright, minimalist style. Ideal for lounging at the beach or exploring the many natural parks in Abruzzo. Featuring a restaurant, bar, gym and massages. A chic base to explore the region. Beach Life - Within a 2 minute walk from the beaches of Giulianova, awarded the EU Blue Flag multiple times. A castle set in rolling hills and not far from the coast. 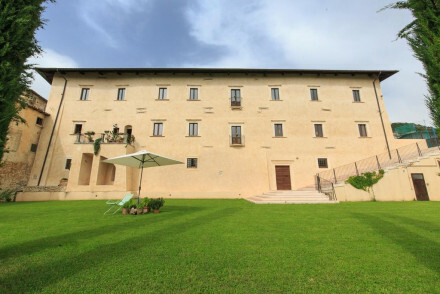 A historic beauty with its own vineyards and wonderful rooms. Bedrooms and suites, enormous in size, have sandstone floors, large beds, stand alone bath tubs, and elegant furnishings. Fantastic wine tasting facilities. Ideal for groups. Wine tasting - The wine cellar is purpose built for wine tasting from the many oak barrels. Good wine list - An excellent choice of its own vintages. Sights nearby - Il Feuduccio, Cantina Sociale and Monumento ai Caduti. 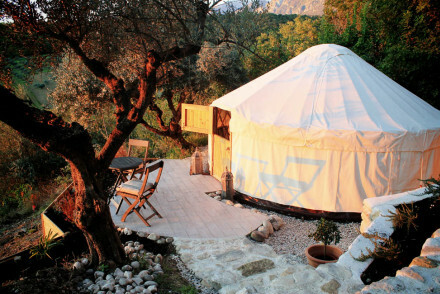 Two luxury yurts set in stunning olive groves, with sweeping views of the surrounding countryside. Simply decorated inside with crisp white linen, heavy wooden beds and a rustic chic bathroom. The private terraces are ideal for unwinding with a tipple and some organic regional cuisine. Rural bliss. Back to Nature - All about a natural way of living; stay in yurts set amidst olive groves and dine on food straight from the garden. Local markets - Head into the local hill top town of Guardiagrele on a Sunday for the local market. Sailing - Take a boat to the Tremiti islands off the coast of Vasto. A former monastery not too far from Rome in the rolling countryside. 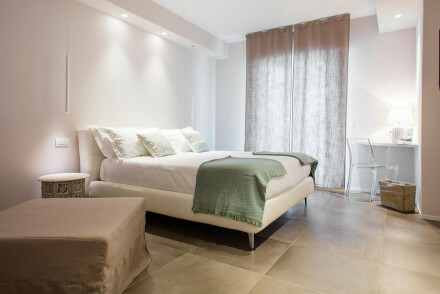 Super chic contemporary rooms and suites, minimal in style with all the mod cons. Fabulous cuisine serving regional produce. Stunning vistas of the mountains around. Perfect for a gourmet weekend in the countryside. Skiing - Roccaraso-Aremogna Ski Resort and Rivisondoli-Monte Pratello Ski Resort in the winter. Foodies - Ristorante Reale is a fine dining affair with spectacular garden views. 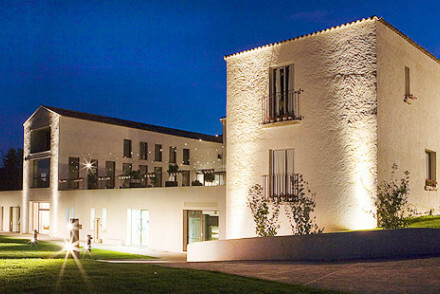 Traditional - Previously a monastery, now a minimalist chic restaurant with rooms. A stylish Italian country house, surrounded by the mountains of Abruzzo. Guests can enjoy the free wellness area with sauna, solarium and Turkish bath. Smart rooms with stunning mountain views. Breakfast served daily and the restaurant has traditional Italian dishes. Lots to do all year round. 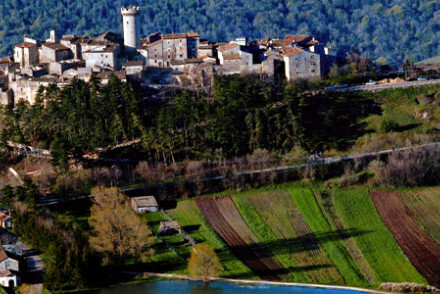 With its dramatic hilltop setting this micro-village in the Italian Apennines stays true to its past. Exposed beams and stone walls, candlelit dining rooms; it's the huge baths, luscious toiletries and wifi throughout that add modern luxury. Similarly, the menu is traditional and locally sourced. Sights nearby - The Rocca Calascio Fortress, with its dramatic mountain setting, is a historical sight to be marvelled at. Cooking classes - Enquire with the hotel about arranging a cooking lesson to learn the arts of the local Italian cuisine. Great walks - There are many picturesque walks through the surrounding fields and local countryside.